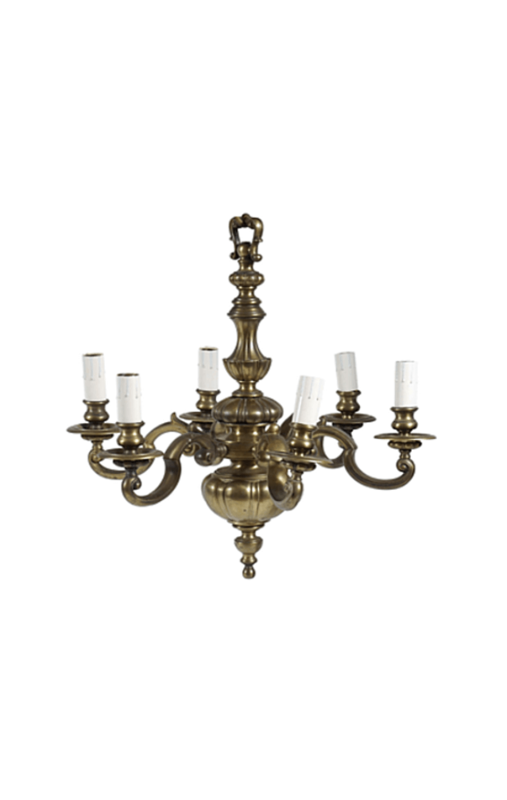 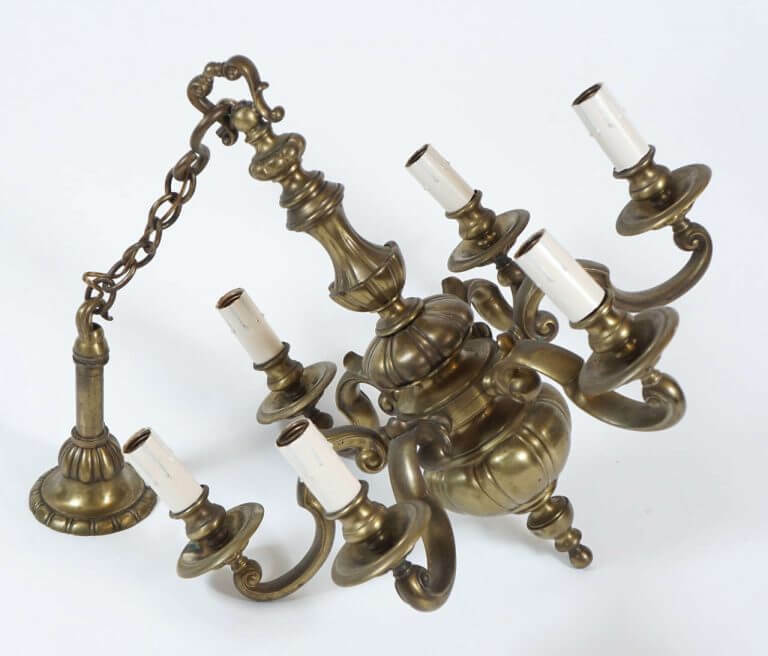 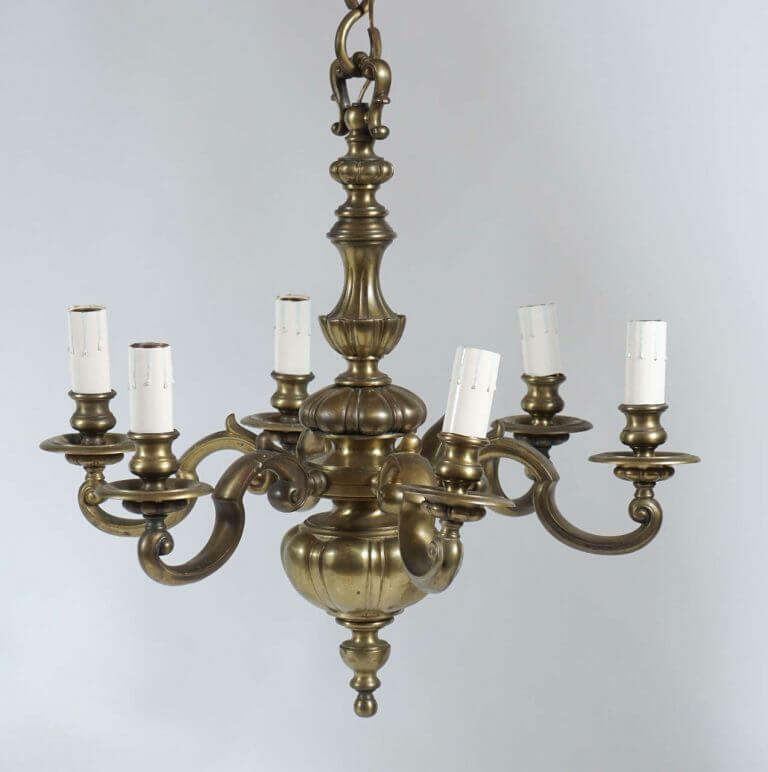 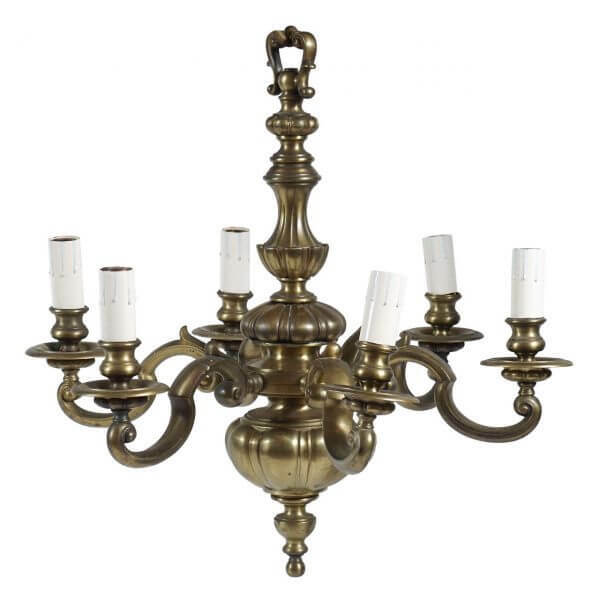 Elegant Edwardian period English baroque style solid bronze six light chandelier having six cusped scroll arms on gadrooned and fluted main body. 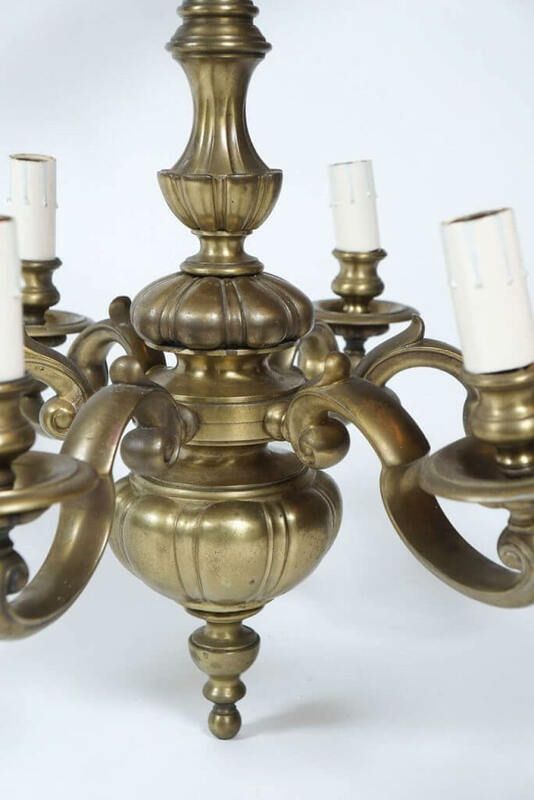 Wonderful colour and patina. 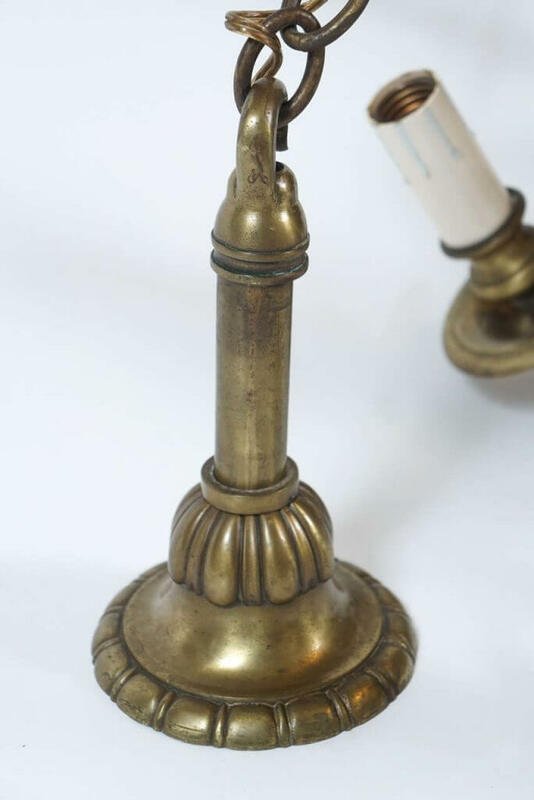 Photos show a skewed arm, however all arms can be positioned as desired as they swivel or fixed in place. Body alone measures 24" high, as wired is 38"; height ajustable. 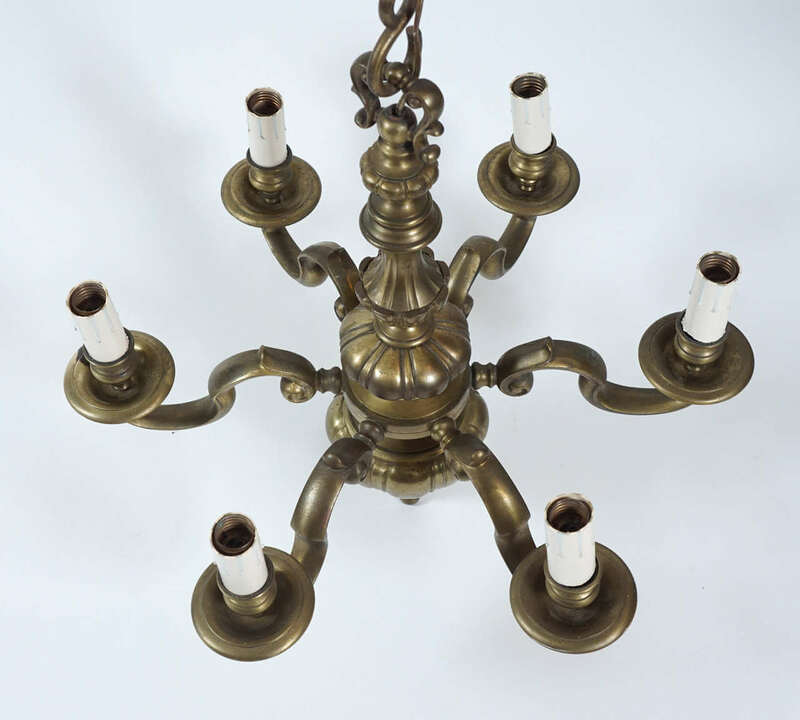 Elegant Edwardian period English baroque style solid bronze six light chandelier having six cusped scroll arms on gadrooned and fluted main body. 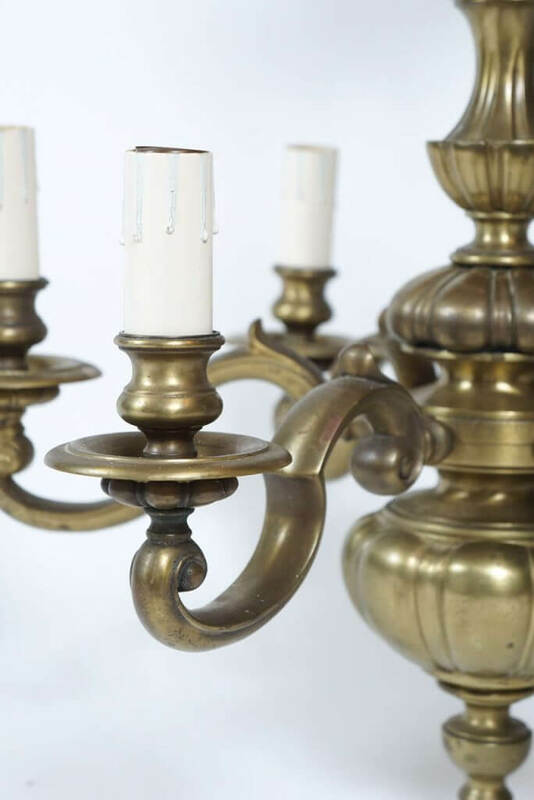 Wonderful colour and patina. 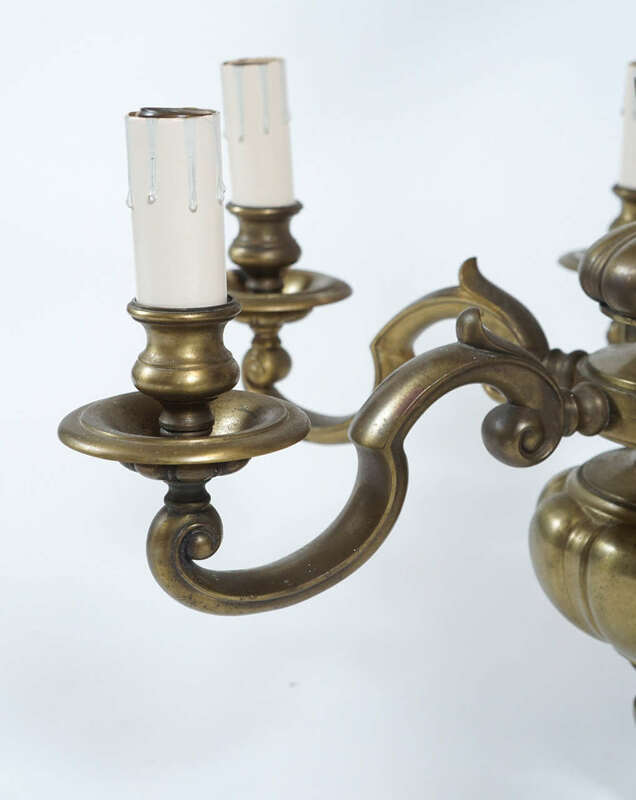 Photos show a skewed arm, however all arms can be positioned as desired as they swivel or fixed in place. 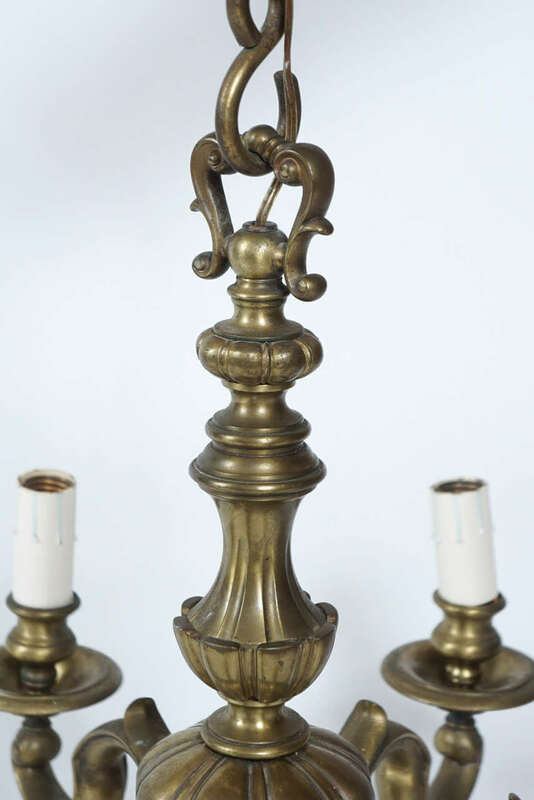 Body alone measures 24″ high, as wired is 38″; height ajustable.